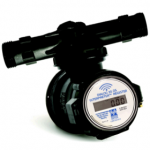 Submeter Specs in Construction | Commercial Water & Energy Co. Most developers of apartment rental and condominium projects are requiring submeters. But all too often, submeter specs included in schematics are inadequate or contradictory. Measuring chamber and measuring element must be easily removable from the main case without removal of meter from the line. Water meter must have a tempered glass lens. 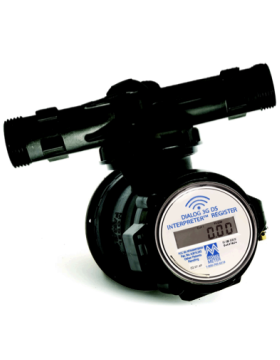 Water meters shall have battery operated transmitters with a minimum 5 year average battery life. Battery shall be replaceable without removing water meter from service or replacing transmitter unit. The first requirement, if understood to mean that the meter must be removable from the flow tube, is a standard feature for some submeters. Master Meter FAM is removable from flowtube but the register is not glass. The second requirement is standard on a number of submeters. The third requirement is a standard feature of the industry’s most popular remote read system. But there is no one combination of submeter and transmitter that meets all three of the criteria. Another list of requirements that we’ve come across requires a specific submeter that is proprietary to a particular Read/Bill/Collect company. If the owner doesn’t mind the potential problem that in the future, only one Read/Bill/Collect company might have access to repair parts, that’s fine. But the specifications state that the owner wants competitive bids from Read/Bill/Collect companies. The requirements are contradictory. The above are some of the reasons why we thought it would be a good idea to publish a set of manuals for the multihousing and commercial construction industry. On the right of this page is a blue form – fill it out and we’ll email appropriate brochures. This entry was posted in new construction multihousing, submeter specifications, submeter specs, submetering water and RUBS by cweadmin. Bookmark the permalink.